Concentrated alkaline-based degreaser. to remove wax, resin, polymers and previous treatments. COTTOSOLV is a highly concentrated alkaline-based degreaser that is highly recommended for stripping wax, resin, polymers and other treatments, even when stubborn and hard to remove. COTTOSOLV thanks to its special formula is extremely effective when it comes to removing natural organic or synthetic polymers and therefore to restore the original appearance of any type of floor covering. 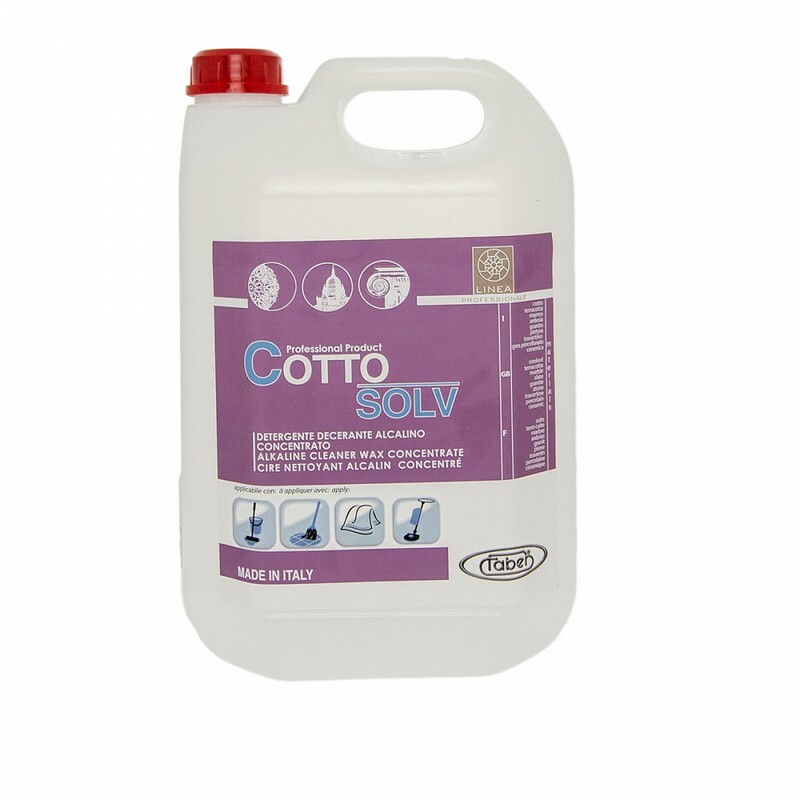 COTTOSOLV as well as being extremely effective on organic polymers, is also a particularly powerful means to remove dark oxidation marks, algae, mould and efflorescence from cotto, terracotta or absorbent materials in general. It is specifically formulated to dissolve organic components meaning it can efficiently remove greasy or oily stains, deep down, from flooring. COTTOSOLV is a solution that can remove suction cup marks from ceramic surfaces, caused by processing and handling in industrial environments. COTTOSOLV is a product that as well as being suitable for use on its own, is often used together with DEC 21 solvent-based wax remover for a full, deep wax removing action, known as “double wax stripping” Double wax stripping is an operation developed especially to remove any organic compound or residue from a surface, such as, wax, resin or previous treatments, for example, or even layers or stains of oily dirt.